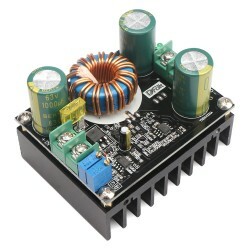 It is a 2in1 Digital Thermometer Voltmeter, Power supply: DC 7~30V, Thermometer Testing range: -1.. 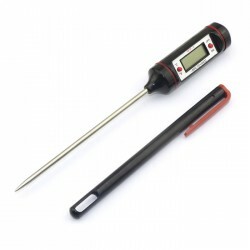 It is a multi-usage Digital Thermometer,Measuring temperature Range -50 °c ~ +300 °c (-58 °F ~ +57..
ST-1A digital thermometer using high-performance micro-computer chips and high-precision sensors, can accurately measure the environmental temperature. 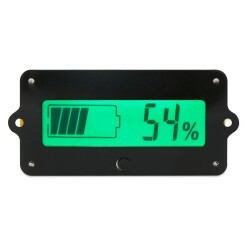 Looks simple and elegant, intuitive and clear temperature display, Celsius, Fahrenheit temperature display can be switched, compact, convenient and practical. Can quickly and accurately detect fridge freezer, air conditioning vent, cold storage and other places of temperature, refrigeration maintenance personnel must carry temperature measuring instruments. In addition, can also be used for the aquarium market, home life, gifts and other purposes. Press "ON/OFF" key once, product is on; Another press "ON/OFF" Key, product is off. 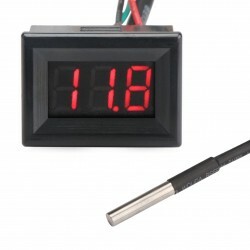 LCD display "- - -.- º C"when measurement temperature is lower than - 50ºC, sensor probe can't be put into use when temperature exceeds +80ºC, or sensor may occur thermal deformation.